raid on a Pakistan Al-Qaeda cell recovers two laptops. When the computers' booby-traps are defused and the computers decrypted and translated, they indicate that Al-Qaeda has planned a series of simultaneous attacks in five U.S. cities involving potential dirty bombs, biological weapons and maybe even a nuclear weapon-on Election Day. Derek Stillwater, troubleshooter for the Department of Homeland Security, is assigned to a multi-jurisdictional Special Terrorism Activity Response Team (START) to locate the weapon and terrorists in Los Angeles and prevent the attack. They have two days. But as they close in on their targets, Derek begins to think that the intelligence they gathered is a sideshow to distract them from the real target-one of the two candidates for President of the United States. 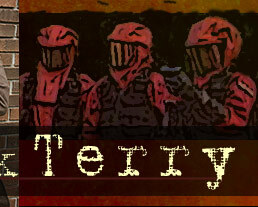 "Terry mashes the action pedal to the floor in this solid fourth Derek Stillwater novel." "Derek Stillwater returns in another intense and fast-paced thrill ride... Stillwater remains a fascinating character, and Terry's ability to amp up the suspense shows that he's at the top of his game here. Readers of Vince Flynn and Brad Thor will devour this one." "Smart, slick, fast and furious. Easily the best thriller of the year. What an accomplishment. Not only does the author seem prescient in the story's premise in the wake of the raid to kill bin Laden but the book is a perfect balance of plot, pacing, structure and character development with a subject that is very much in the forefront of much of the worlds mind. 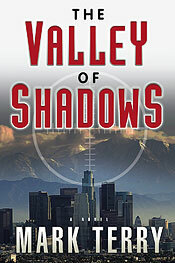 The Valley Of Shadows is the fourth book in the Derek Stillwater series by one of my favorite authors, Mark Terry. Though the others, The Devil's Pitchfork, The Serpent's Kiss [and] The Fallen have all been some of the best action packed thrillers you'd ever want to read, Mark has out done himself in Valley. Derek is a more human character than super hero, showing traits of say the great hardboiled detectives. A loner, a tough guy who is also fallible. Think James Bond meets Phillip Marlowe." "Moving away from the 'Die Hard' feel in the previous novel, The Valley Of Shadows takes the tough guy Derek Stillwater character to the next level. I thought he seemed a little more edgy and contemptuous than in The Fallen but that, in no way, was a disappointment. If anything, it gave Derek a more concentrated determination while still maintaining that complex lone hero quality. Rollins and Flynn fans will love Terry's smart, swift style. A must read for anyone into terrorist thrillers! The Valley Of Shadows is a heaping mountain of nonstop, 'hanging on by a thread' action, coupled with a currently red-hot jihad terrorist plotline and an unforgettable main character. The Derek Stillwater series continues on with yet another superb novel that you just won't be able to put down. Mark Terry is an instant favorite—brilliant!" "The latest Derek Stillwater novel, The Valley of Shadows, is a first-rate thriller, well-crafted and relentless, that launches like a rocket and never slows down. Mark Terry is at the top of his form, a slam-bang storyteller, and this novel about L.A. under attack from jihadists is not to be missed." "Not since Thomas Harris's classic Black Sunday has a thriller so brilliantly captured the very real threats posed by modern terrorism as The Valley of Shadows. 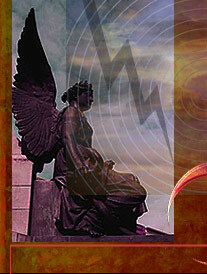 Mark Terry's terrifying tale reads like prophecy, warning and treatise all rolled into one. And the result is a ticking clock treat that's the very definition of a one-sitting read. 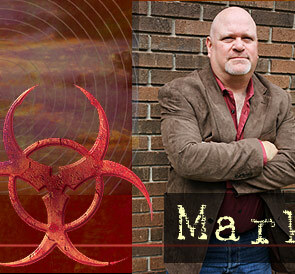 Vince Flynn and James Rollins better watch their backs because Mark Terry is coming up fast!" "Complex and gripping, The Valley of Shadows by Mark Terry is a sprawling tale of espionage, religious fanaticism, and the cost of hubris. With rich characters and superb insider details, it's a deeply satisfying novel that will linger with you a long time." "The Valley of Shadows reminded me of the hit television series "24"lightning-paced, timely, terrifyingterrific!" "There's nothing more bracing than a fast-paced thriller, and Mark Terry has delivered a doozy in The Valley of Shadows... Shadows may be a rip-roaring action thriller, but it also asks serious questions about loyalty." "The author's fourth book in the Derek Stillwater Series is a thriller that will make the reader's heart race. A first rate novel, well written that does not let up until the last page; and then, only for a little while as we all wait for the fifth installment.... This narrative takes off like a rocket ship and does not come to a full stop, even at the end. Don't miss it!!"